Abandoned homes are a familiar sight in many Detroit neighborhoods. And they aren’t just an eyesore. Left unsecured, those vacant properties can become magnets for crime. But a new city program is hoping to change that. Detroit Mayor Mike Duggan says for years, the work of boarding up vacant homes fell to volunteers. 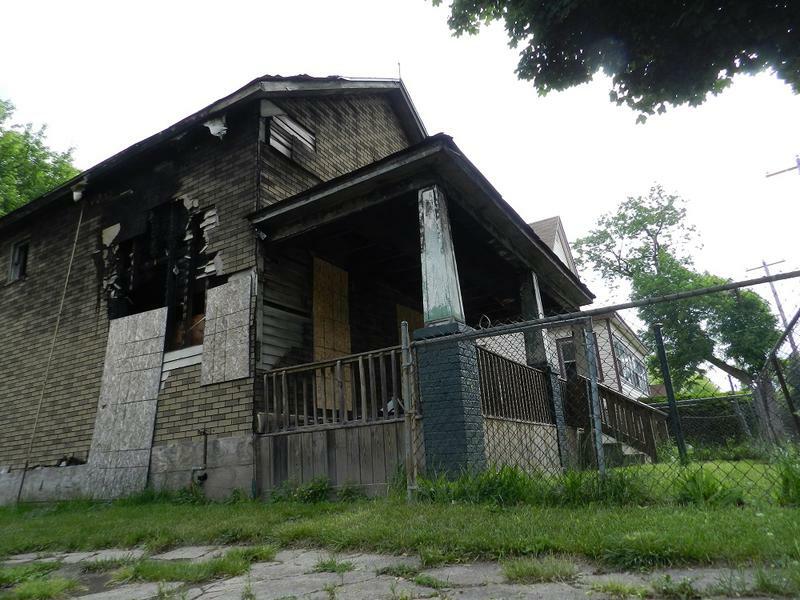 One of the big issues in Detroit is blight. People walking away from their properties or foreclosures are the base of the problem. After that, it’s people stealing things out of the empty house. 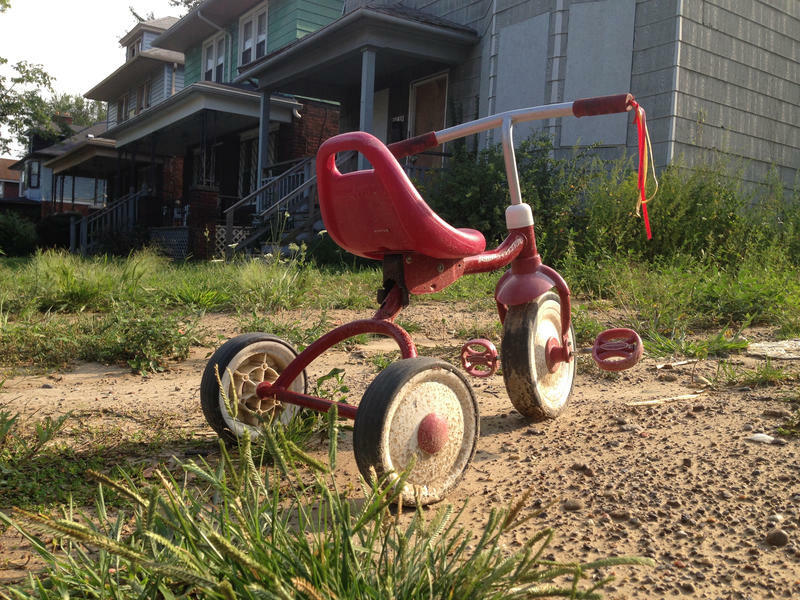 Some neighborhoods have been devastated by abandoned homes and the scrappers who strip them. The MorningSide neighborhood on Detroit’s east side hasn’t hit the level of devastation, but it’s been hit pretty hard. A new tax break for redeveloping blighted land in Michigan is now law. Gov. Rick Snyder signed the bill Thursday as he sat in the gutted lobby of a 120-year-old office building in downtown Saginaw. The Berringer building has sat unused for years as a series owners have tried and failed to renovate it. FLINT, Mich. (AP) - A federal watchdog agency plans to conduct an audit of $25.5 million in demolition costs in Flint related to the federal Hardest Hit Fund. The Office of the Special Inspector General for the Troubled Asset Relief Program, or TARP, informed the U.S. Secretary of Treasury last week of the planned audit. That letter said the audit would examine demolition and related costs in Flint that were reimbursed with TARP dollars. 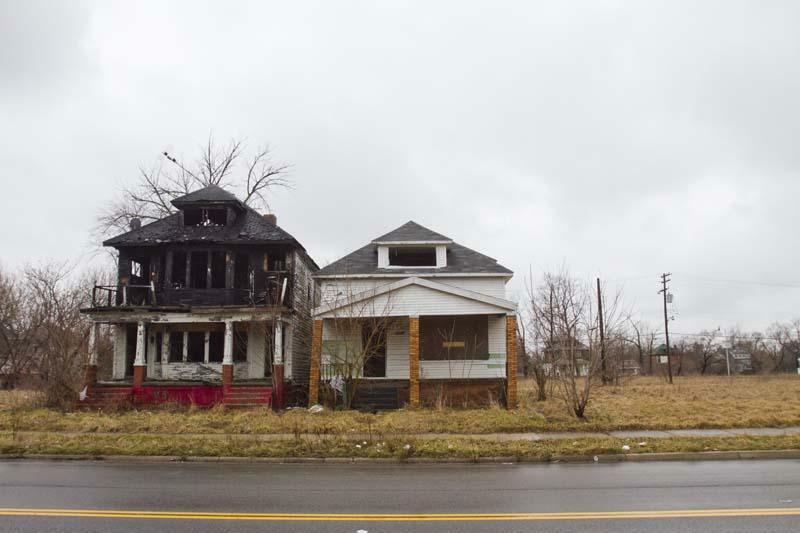 Formerly nicknamed the “Dan Gilbert bills” after the prominent Detroit businessman and developer, legislation to give developers a tax incentive for building on blighted land sailed through a full Senate vote and is now awaiting a hearing in the House. The same kind of incentives came up in Lansing last year. But they didn’t go anywhere, because some lawmakers were worried it would only help big cities like Detroit. This time, supporters on both sides of the aisle say the legislation is for cities big and small. Take an abandoned, unloved alley. Clear away the trash and debris, and then turn artists loose with their paint and brushes to transform those alleys and, in turn, the neighborhood. Jason Ostro did just that. The Michigan-born artist cleaned up the area around his Los Angeles art gallery, the Gabba Gallery. 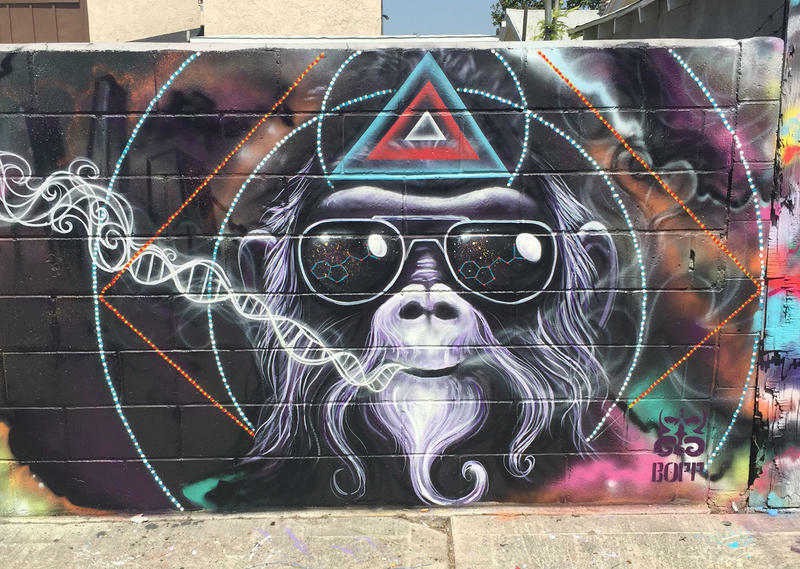 The Gabba Alley Project L4 is four decaying alleys transformed into works of art. Now he's launched the Gabba Alley Project Detroit, recently painting his first mural in an alley in Detroit's Midtown. Detroit residents have a new way to check when blighted and vacant homes in their neighborhood will be demolished. People can enter an address on the Demolition Tracker map on the city's website to see if and when a blighted building is scheduled for demolition. Structures set to be demolished are represented by orange dots that turn blue after the structure is torn down. Michigan will receive $188.1 million in additional federal money to aid the removal of blight in neighborhood around the state, members of Michigan's Congressional delegation announced Wednesday. The money comes from the Hardest Hit Fund, a program that was originally intended to help people facing foreclosure stay in their homes. But that money has since been steered into blight removal. With the addition of the funds announced today, Michigan has now received more than $262 million from the fund this year. 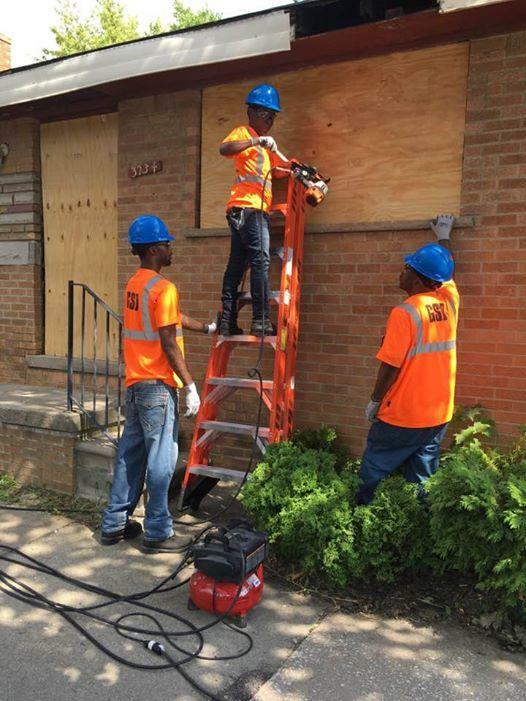 Detroit mayor Mike Duggan announced plans today to recruit more Detroit-based, minority contractors for the city's expanding blight-removal efforts. 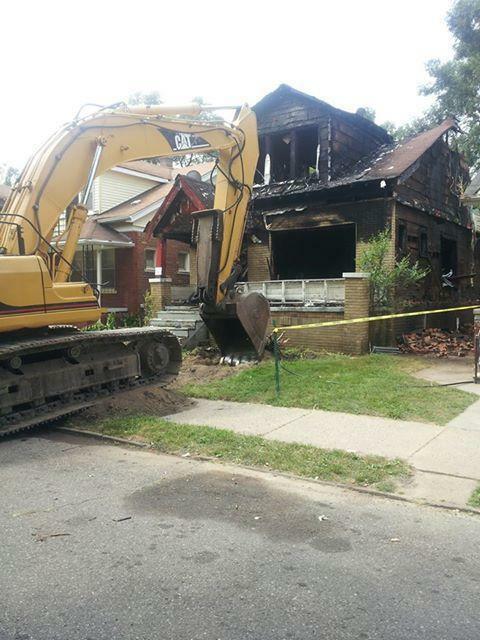 Duggan wants them to help meet increased demand for home demolition and rehabilitation in the city's neighborhoods. Duggan announced several upcoming fairs to connect contractors with opportunities. The first will be held on May 13 at the Northwest Activities Center at 18100 Meyers Road. The state of Michigan is getting tens of millions of dollars from the federal government to tear down blighted buildings. Last year, Congress approved spending $2 billion to fund blight elimination programs nationwide. The U.S. Department of Treasury today says Michigan is eligible for more than $300 million from the Hardest Hit fund. Nearly $75 million is available immediately. 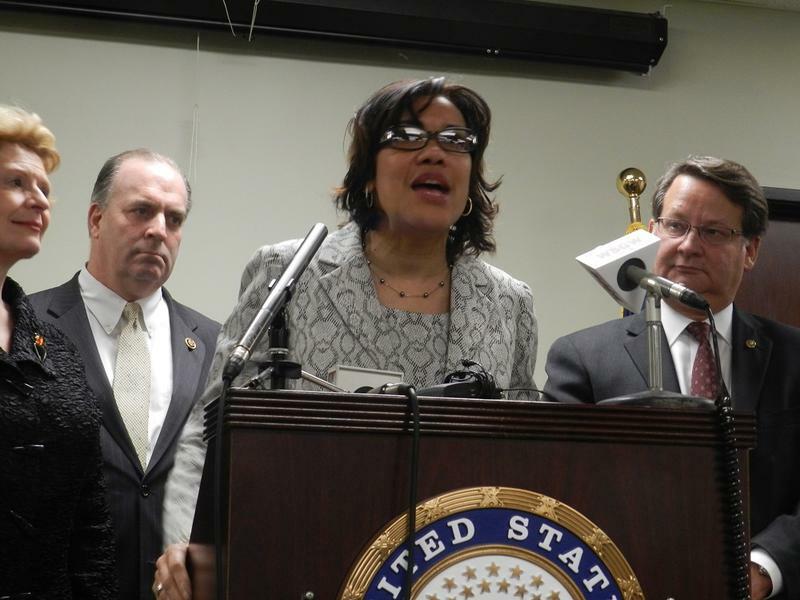 U.S. Rep. Dan Kildee, D-Flint, has been among those fighting for the blight money. 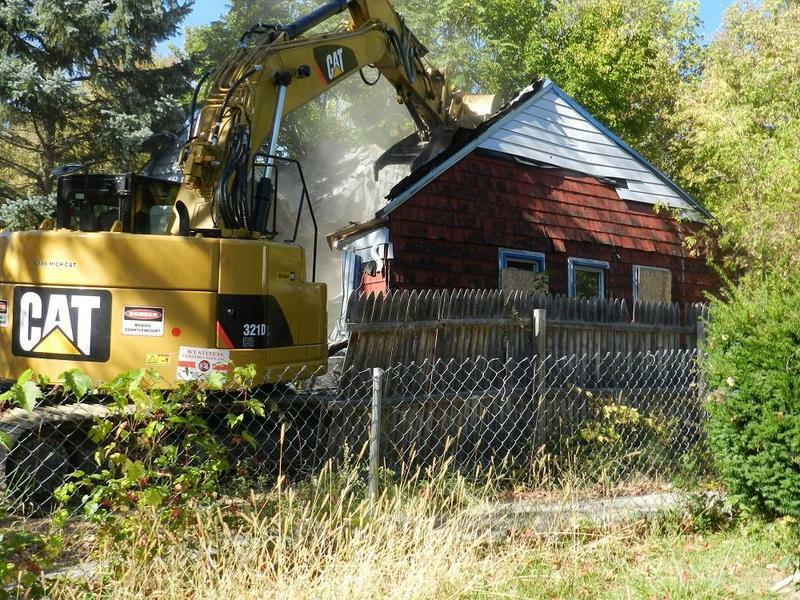 Michigan may soon apply for tens of millions of dollars in federal funding to tear down blighted homes. Michigan U.S. Senators Debbie Stabenow and Gary Peters met with Congressman Dan Kildee in Flint today to discuss the transfer of $2 billion into the federal Hardest Hit Fund. Peters says the evidence that this program works is “overwhelming”. 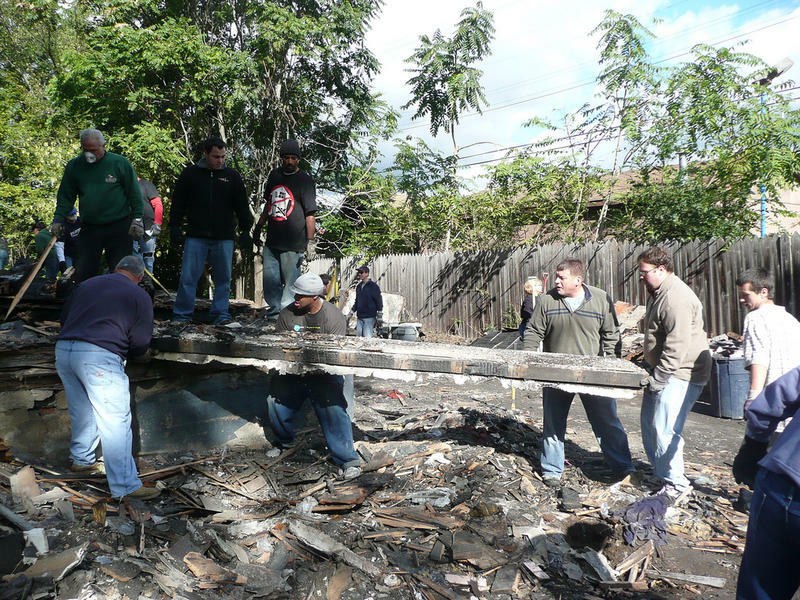 “Whenever you knock down blighted homes in a neighborhood, those property values stabilize. Those properties go up in value. People move back into the neighborhood,” says Peters. The Obama administration is letting Michigan divert almost $33 million from foreclosure prevention to demolition projects. Detroit and Flint will benefit from the additional funds, which come from Michigan’s share of the federal Hardest Hit Fund. That program was originally meant to help homeowners facing foreclosure. But as the result of lobbying from state and local officials, the Obama administration has allowed Michigan to divert money from HHF funds toward blight removal three times since 2013. 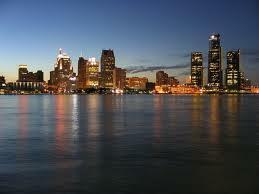 Detroit has itself a brand new resident. 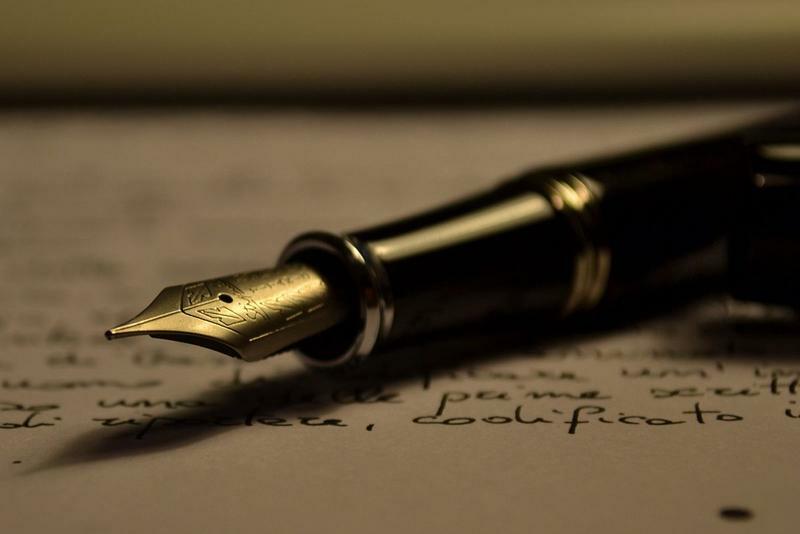 Liana Aghajanian is the latest winner for Detroit’s Write A House program. She was chosen from more than 200 entries and will move into a totally rehabilitated home just north of Hamtramck for a two-year residency. 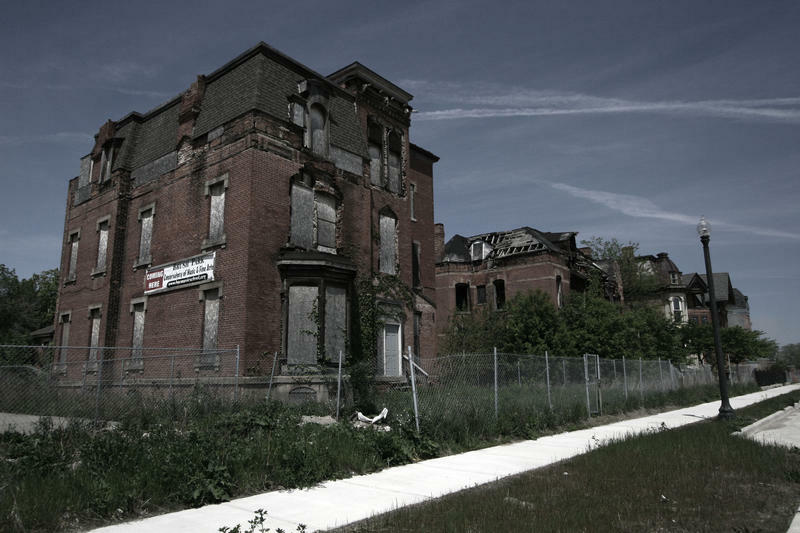 Since Detroit emerged from its history-making bankruptcy, much of the city’s attention has been focused on blight. The city is making efforts to reduce blight by knocking down or rehabilitating derelict buildings, and by finding creative uses for the growing amount of empty land in Detroit’s 140 square miles. At last count, we’re up to 23.4 square miles of vacant land, more than the size of the entire island of Manhattan. But for John George, the battle against blight began in 1988. Along the mix of downtown buildings and neighborhoods filled with small single family homes, the city of Flint also has its share of mobile home parks. The trailer parks are the usual collection of mobile homes laid out in neat lines. But in some cases, it’s not so neat. 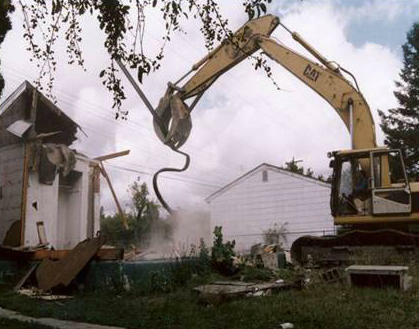 Flint has torn down thousands of old, dilapidated homes in the name of blight elimination. The city is now turning its attention to its handful of trailer parks. A major blight elimination program is winding down in Flint. Around 1700 dilapidated homes have been torn down during the past few years. The program is funded with nearly $23 million in grant funding. Christina Kelly is with the Genesee County Land Bank. She says the before and after effect on neighborhoods is something to see. 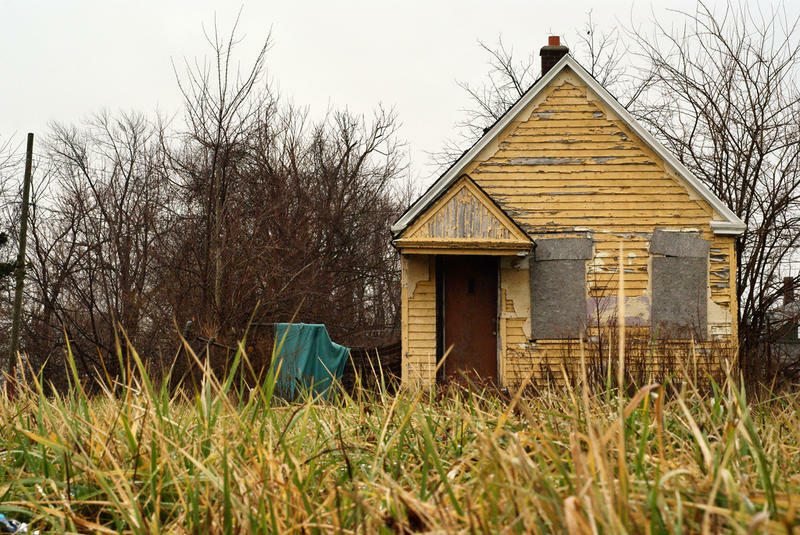 Like many Michigan cities, Saginaw has been struggling to deal with blight and crime. At least in Saginaw, the struggle appears to be paying off. A study released today finds major crimes (arson, aggravated assault, criminal sexual conduct, homicide, robbery, burglary, larceny-theft and motor vehicle theft) decreased 54% between 2005 and 2014. The number is expected to be lower this year. 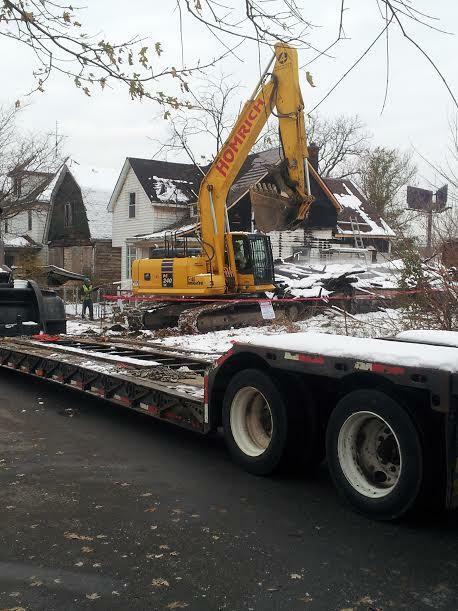 Highland Park officials say they want to board up more blighted homes with steel, rather than wood. Steel is really good at keeping out squatters. Problem is, it's also really expensive. The city started using steel shutters on a handful of houses after an 11-year-old girl was raped in December in an abandoned house. Flint is facing a BIG bill to clean up thousands of blighted properties. A third of Flint properties are blighted. It’s estimated it will cost roughly $100 million during the next five years to fix the problem. That’s according to Flint’s Blight Elimination Framework. 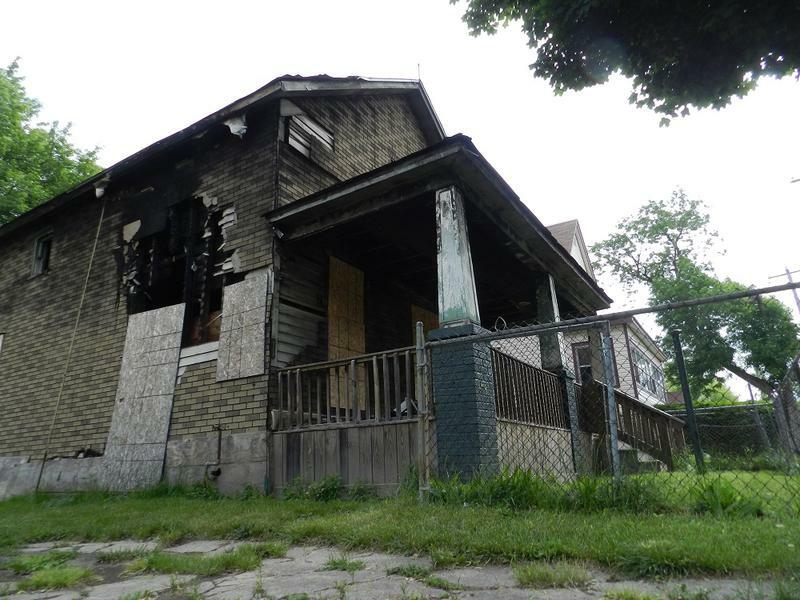 The state of Michigan is handing out $75 million to help a dozen cities deal with blighted homes. $50 million is going to Detroit. Mary Townley is with the Michigan State Housing Development Authority. She says the federal grant dollars are intended to remove dilapidated homes and help neighborhoods. 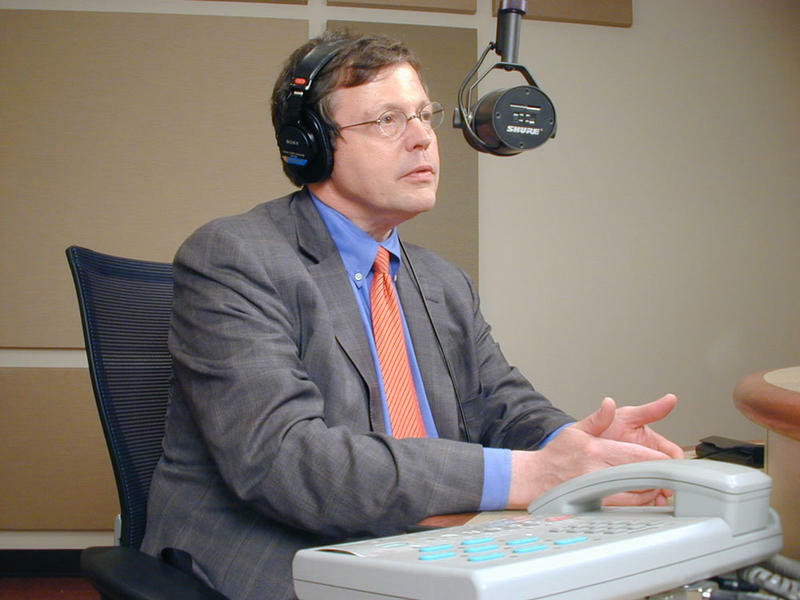 Low voter turnout woes, Congressional races heat up, and $3.1 million for a Detroit "blight bundle"
This Week in Review, Jack Lessenberry and Rina Miller discuss who’ll be more hurt by low voter turnout on Tuesday, more Congressional race surprises, and a Detroit developer who dropped $3.1 million on some of the city's worst properties. 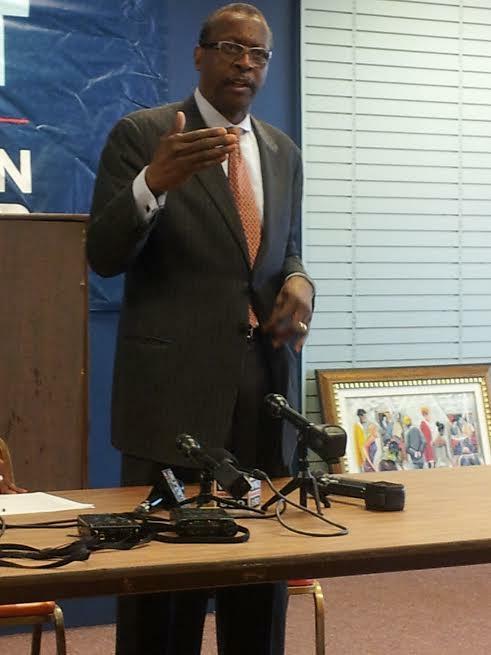 Detroit developer buys more than 6000 properties, looks for "public-private alliance"
A Detroit developer who just bought a massive chunk of city land says he wants to help community groups revitalize their own neighborhoods. Herb Strather bought a package of more than 6000 properties from the Wayne County tax foreclosure auction for just over $3 million. That “blight bundle” was actually meant to discourage bidders from buying up huge numbers of cheap, distressed properties. But Strather says the land was still at risk of going to “outside” investors, and he bid to prevent that. 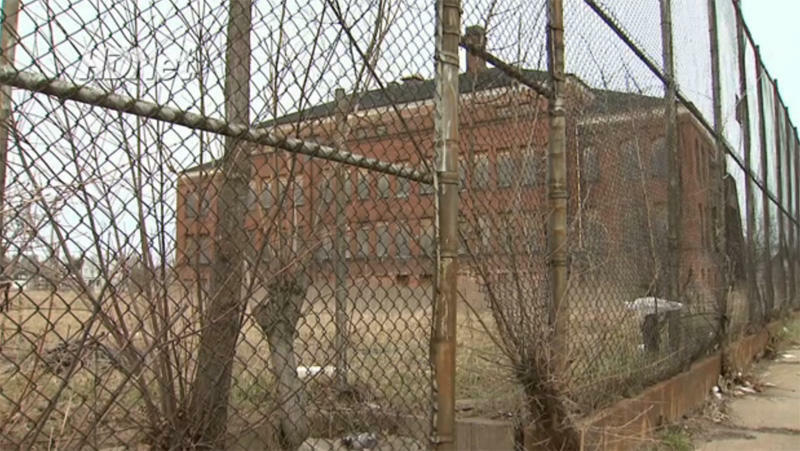 The city of Detroit plans to acquire 77 vacant properties from Detroit Public Schools. Detroit residents met Monday night for a discussion on how to move forward after the elimination of Citizens District Councils (CDCs). CDCs have been around since the Blighted Area Rehabilitation Act of 1945 granted Michigan cities the right to acquire blighted properties using the power of eminent domain.